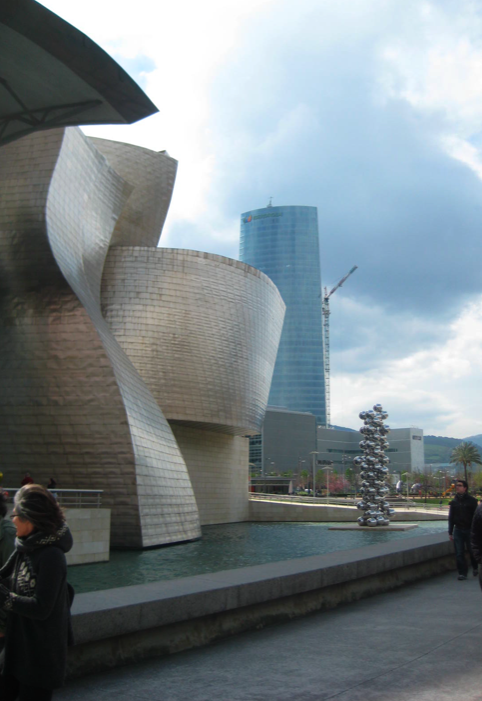 The Basque city of Bilbao was a pioneer in Europe in the use of showcase cultural buildings as a trigger for urban regeneration. 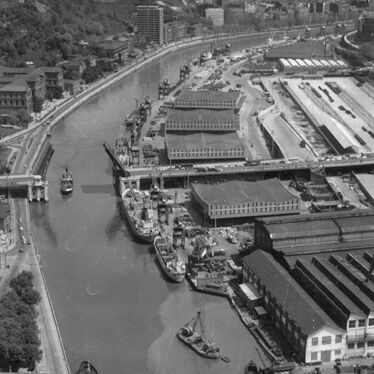 Just a generation ago the city’s waterfront was an industrial port. Today, in addition to the Guggenheim itself, its architectural landmarks include bridges by Santiago Calatrava and Daniel Buren, and an apartment block by Arata Isozaki. But as with Japan, where the technique was invented [landmark structures were called ‘antenna buildings’ during their bubble economy of the 1980s] the global crisis finds Bilbao asking: now what do we do? They say that the last days of Rome were culturally rich – and the same seems to be the case in our own times. Choreographer Valerie Green and Dance Entropy, a New York City-based experimental dance troupe, will shortly premier a new work, Rise and Fall, that’s about collapsing civilizations, the raw ugliness of industrialization, and gross consumption. 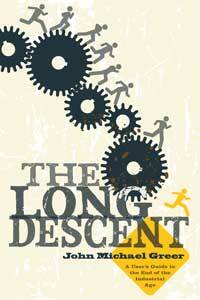 The dance is inspired in part by John Michael Greer’s book The Long Descent whose cover, it must be admitted [above], has definite dance-like qualities. [Greer is by no means a dramatizer. On the contrary, he is scornful of those ‘doomers’ who say that a sudden civilizational collapse is imminent. Greer’s argument is that said collapse is already well underway and is likely to become the new normal for for us all]. 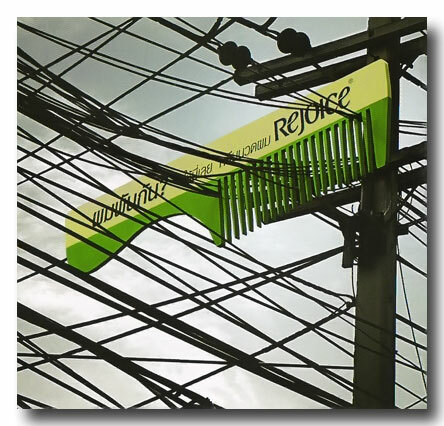 Rise and Fall, which sets out to develop ‘a non-traditional movement vocabulary’, charts a non-linear path through industrialization, modernization, terror, decline, population dissipation, and ‘the knowledge to begin again’. If Rise and Fall sounds like a challenging work of dance, its music appears to be well-matched. It’s by a group called the Tone Casualties. 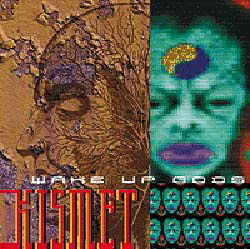 A former record label, their most celebrated album was Wake Up Gods by the Macedonian band Kismet. Under the slogan ‘INSANITY IS FREEDOM COMFORMITY IS DEATH’ Kismet’s music is described as ‘industrial-ethno-gothic for following Millennium’. If you are in the NYC area, and in search of a family night out, see Rise and Fall on 31 March at Dixon Place Experimental Theatre at 7:30 pm, or on 8 and 17 April at the Green Space Studio. 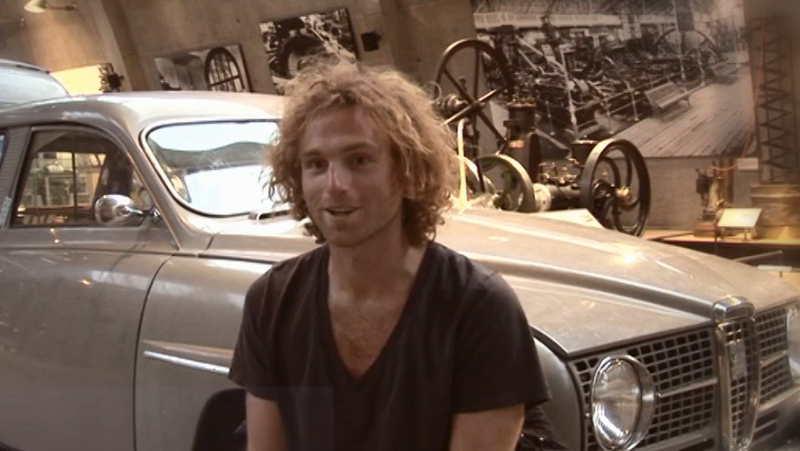 The Start-Up Kids is a documentary about young entrepreneurs who have founded web and media startups in the US and Europe. Made by two young Icelandic women, it contains interviews with tech-leaders of today and tomorrow. The founders of Dropbox, Vimeo, Flickr, WordPress, Posterous and many others talk about how they started their company, and what their lives are like as an entrepreneur. But what I most like about this project is the office of its producers [below]. 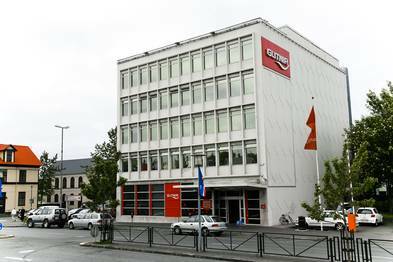 They are working out of a former building in Reykjavik of the notorious and now defunct Glitner bank. The building [below] once housed people who wrecked Iceland’s economy. It’s some kind of poetic justice that it has now been turned into one of Iceland’s seven incubators for – well, start-ups. The banksters’ former pad is now named after its neighbourhood Kvosin and is supported by the Iceland Innovation Centre. I’m adding Kvosin to my collection of inspiring ways to re-use buildings formerly occupied by banksters – including the amazing Monumento project in Sao Paulo. Can thermal perception change behaviour? 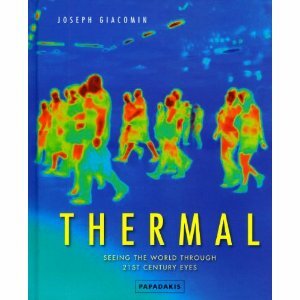 A premise of Joseph Giacomin’s new book Thermal is that global warming is hard to ignore when you view the world through thermal eyes. Hard, but not impossible, to ignore. We humans are skilful evaders of uncomfortable truths. The premise of the author’s reseach group at Brunel University in the UK, Perception Enhancement Systems, is that leveraging our sensory systems through the use of advanced technology can enhance our understanding. Our dilemma is this: although technologically-enhanced images can, potentially, enhance our understanding, human behaviour is more complicated. Misleading ‘gut instincts’, and personal associations and biases, can be more influential than perceived facts in influencing our energy habits. It emerged at Garrison Institute’s climate, mind and behavior conference last year that enhanced perceptual tools are only part of the answer. We also need to draw on knowledge emerging from behavioral and neuro-economics, and cognitive science research. Researchers in those domains – often in a businesss, not environmental context -are investigating ways to steer individual and group decision making. As this writer has discovered, too, in exploring the relationship between metrics and aesthetics, it is not a simple matter of cause [an evocative image] and effect [changed behaviour]. 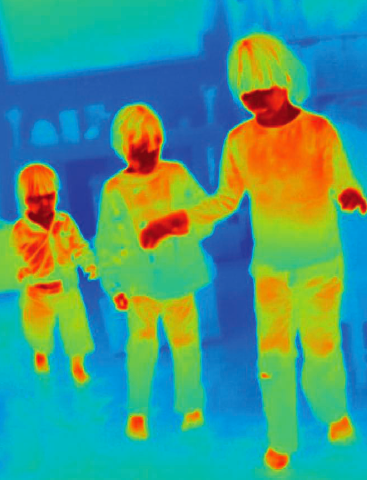 This is not to diminish the affective power of some images in Thermal. There are *so* many things we do not see – for example, the contribution of chldren to global warming…. Besides, I also learned in the pages of Thermal pages that the average street light or home lamp emits less than three percent of the inputted energy in the form of light, with nearly all the rest ending up as heat. 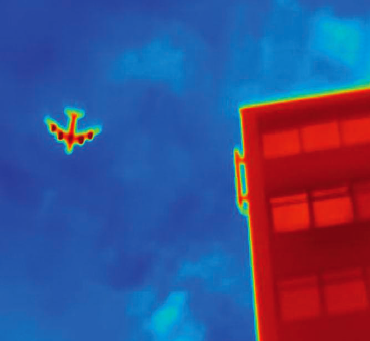 Technical note [from the author’s website]: These 20×240 pixel JPEG images were shot using a 60 Hz thermal imaging camera; it is similar in appearance to a camcorder. Pseudocolour is used to indicate the variations in temperature – bright red-orange for the hottest temperature and dark blue for the coolest. 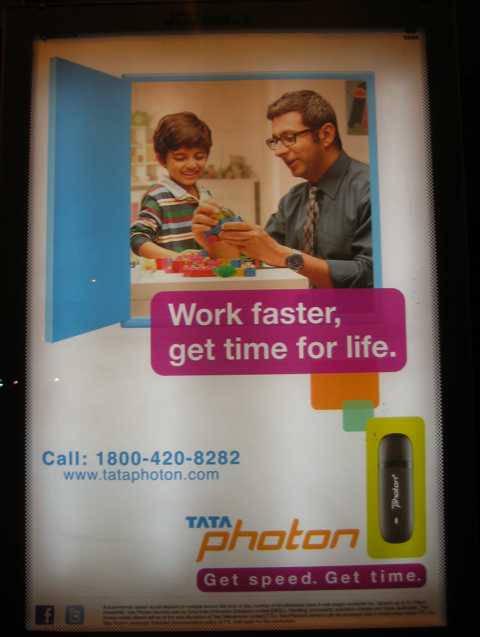 “Work faster, get time for life.” I just got back from a short trip to India where this insane slogan adorned a poster at a bus stop. It pretty much sums up a febrile mood in Delhi where it was announced during my stay that India’s economy will grow by nine percent next year. [I say “announced” because the government spokesman said they were powerless to reduce the economy’s rate of growth]. Among the consequences of this great success: a sulphur dioxide-spewing coal-fired power station [one of twenty being built in Gujarat alone] is being built ten kilometers upwind from the idyllic farm of my host in Vidodara. He’s a senior industrialist – and even he can’t stop it. In 2007, India’s coal-fired power plants consumed 6.6 quadrillion Btu of coal – and the country plans to double its energy generation capacity by 2035. That is a lot of SO2. On the positive side, although India is herself a major coal producer, the country also needs to purchase tens of millions of tons of coal from Australia, Indonesia, South Africa and the US to meet its near-future needs. So perhaps peak coal will ensure that the Gujarat plant never gets lit. Why is all this energy needed? A lot of blame is heaped on India’s emerging middle class consumers; for many of these 270+ million people, an air conditioner in every room is becoming the norm. 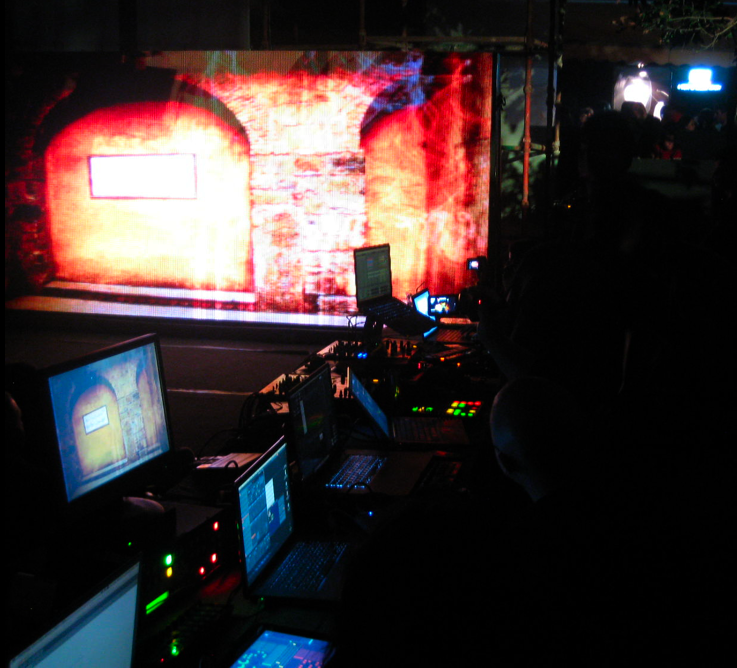 But a fair bit of power was also needed by the DJs and VJs at Salon der Alchemisten – the final event of the UnBox festival I was attending. [In a beautiful piece of symmetry, the evening featured Talvin Singh (Jaan). In 2000, Kristi van Riet used Talvin’s music throughout Doors 6 on Lightness in Amsterdam. Talvin’s music transformed our event then – and probably helped persuade us to move Doors events to India]. After the break: “Life’s Work: Opportunities in the Restorative Economy” [the text of my talks in Vidodara and Delhi]. But look at this chart. 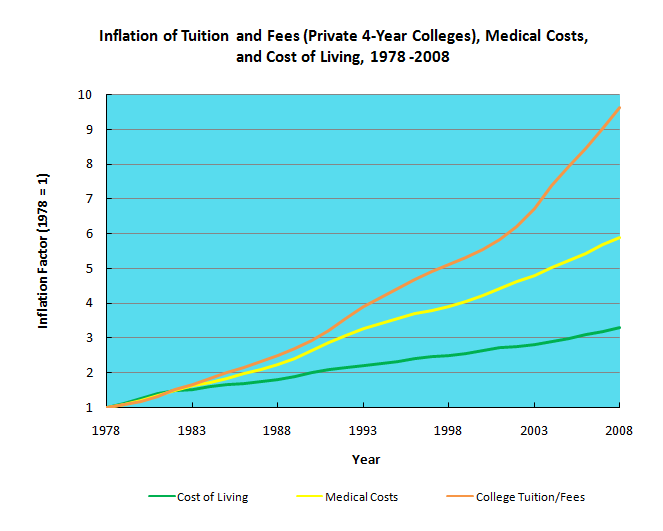 Inflation in US college tuition fees is outstripping not just the cost of living, but even medical expenses. To a prospective student, that top line represents the promise of a $200-300,000 bill for a design qualification whose value, in these transitional times, has to be questioned. – is unique to its place, but is also globally networked. What’s the best way to grasp this opportunity? This is not the time for a leisurely debate about policy. Four new NID campuses are already being built as I write! For me, as an outsider, the best response would be to start planting real seeds, right now, into India’s fertile ground. Different kinds of courses and learning models could be piloted and adapted to India’s multitude of different contexts. These pilots would not require new campuses. They could use existing facilities. The main investment would be in people to co-ordinate them. But what kinds of seeds? India is not alone in needing to innovate new educational models. On every continent, outside its Big Tent – over there on the edge of the clearing – exotic new species of design and business education are emerging. These new schools and courses have names like Yestermorow School, Deep Springs College, Kaos Pilots, School of Everything, Social Edge, Deep Democracy, Centre for Alternative Technology, Schumacher College, Living Routes, Gaia U, Crystal Waters, Horses Mouth, WOOF, The Art of Hosting. [I know of more than sixty these ‘seeds’ – but there are surely many more]. I do not suggest that these new models should replace mainstream institutions outright. And yes, of course, mainstream universities are innovating, too. But these ‘outliers’ are where the real innovation is happening- in terms of content, form and business model. Few designers, few policy makers, and few entrepreneurs, have even heard of these places. But they are significant, for me, because they meet the requirements of these new times. 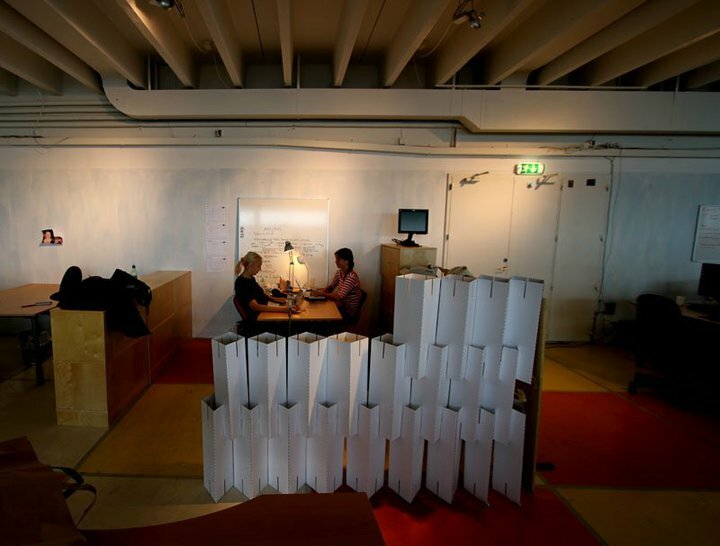 They can be the competition – or the collaborators – for design education in India and beyond. But which ones to choose? In what combination? How to engage with them? This is where xskool comes in. We think of these new schools and projects as stepping stones on a learning journey across the river to the next. Our idea is to provide a kind of larning travel service that guides you on your learning journey. A decision by the Indian government set up four new National Institutes of Design [NIDs] in the country has sparked a lively debate about the kinds of design they should teach. An influential group of design thought-leaders has launched a campaign called VisionFirst that calls for a “rigorous co-creation process to bring clarity to the models of design education that India should seek”. VisionFirst applauds the new institutes as “a significant step towards leveraging design to enhance the country’s ability to innovate, and in using design to enhance the quality of life in the country”. But the group also expresses concern that the new institutes “will be a lost opportunity if we follow a predetermined route and end up replicating expired, limited and ineffective models of design”. The VisionFirst group includes Uday Dandavate, co-founder of SonicRim; Ashish Deshpande, founder of Elephant Design; S Sundar, president of the Association of Indian Designers; the writer and blogger M P Ranjan; and the educator Jogi Panghaal, India Associate of Doors of Perception. In a pamphlet launched yesterday VisonFirst propose a “nationwide and rigorous co-creation process” to stimulate fresh inquiry and bring clarity to the models of design education that India should seek. This “grand open, global conversation about design education in India” could unfold on the internet and in print media, says the group; it could conclude with a international conference to share the insights and emerging directions in design education from around the world. 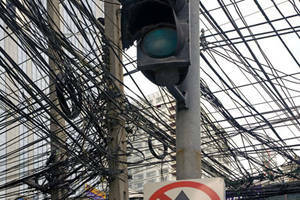 “To remain competitive in the global marketplace” argues VisionPlus, “industry must respond to new sets of challenges. Users are seeking more than usefulness and usability. They are looking for emotional connectedness, commitment to green values, transparency, and fair use of labour”. The Indian government has published a Request for Proposal that invites consulting organizations to bid for finalisation of the model for setting up campuses for four new NIDs. This approach, warns VisonPlus “may exclude new and innovative ways to imagine new institutions”. The group is concerned that India’s government may “commit to building infrastructure for a pre-supposed form of a school, both in building and content that is actually in desperate need for re-imagination”. Sam Pitroda, Advisor to the Prime Minister of India on Public Information Infrastructure & Innovations, and recent chair of India’s Knowledge Commission, has told VisionFirst that he supports the creation of 40 innovation clusters indifferent parts of India to serve different sectors of the economy, and sees a need to have a 100 NID’s in India. The debate in India coincides with the launch by Doors of Perception of a new project called Xskool.. [Declaration of interest: This writer is director of Doors of Perception]. The idea of Xskool is to set up a training platform that will help the next generation of design teachers and leaders “make a fundamental transition to a new kind of design – one that creates social value without destroying natural and human assets”. First published in Design Observer. As the global crisis unfolds, interest in alternative economic and social models is growing – and with it, attention to what we might learn from Africa. Most of us in the North are badly informed about a continent that is home to over 900 million people, living in 53 countries, who speak 2,000 languages between them. We hear a lot about poverty, political instability, disease, illiteracy, and corruption – but almost nothing about the multitude of ways in which poor African people organize their daily lives – to survive, yes, but in ways that are often creative and joyful, too. In terms of material resources used, poor people in Africa live sustainably right now. But, because they consume so little, their communities are described as economically ‘marginal’. 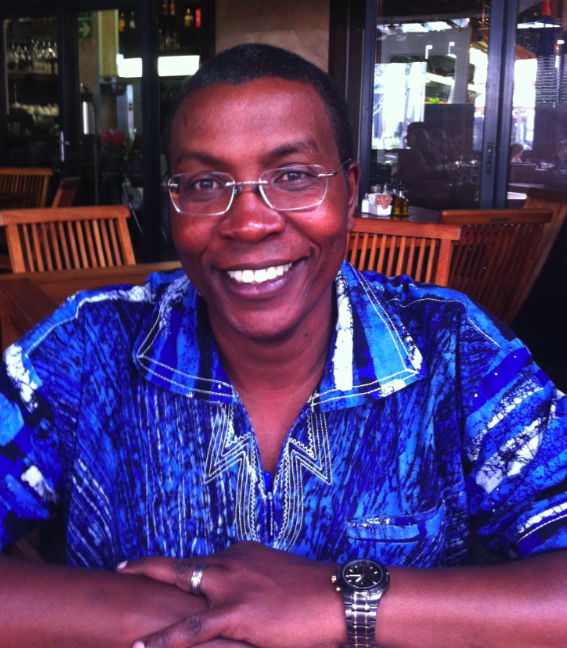 Yet many African communities are surprisingly resilient and robust in the face of pervasive uncertainty. Is Africa’s social resilience an asset – and if so, how might the rest of us learn from, or even share it? On of the reasons we underestimate the sheer physical mass of our power and information networks is that they’re hidden from view. But not in Bangkok. The German photographer Thomas Kalak has spent ten years decade capturing images like these.They feature in an exhibiton at Munster Art Museum from 19 March to 3 July.